July 1939. 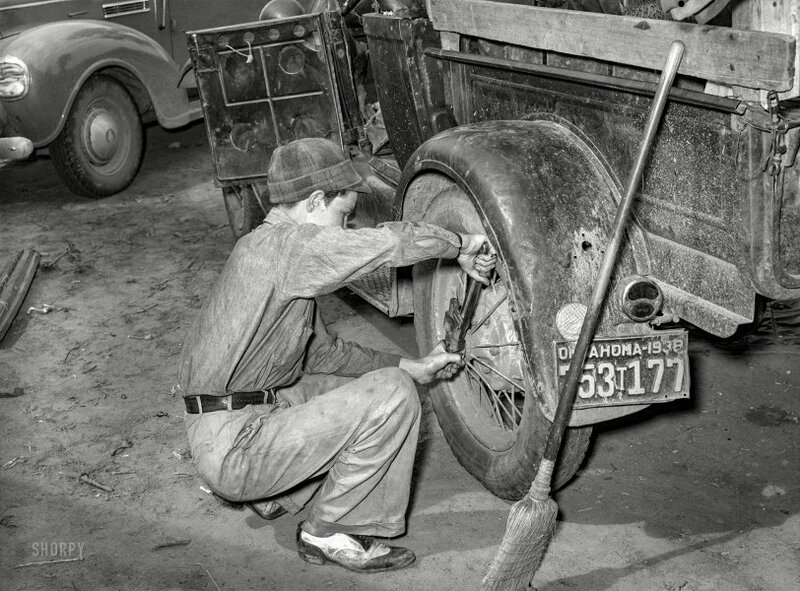 "Migrant boy who is somewhat of a mechanic tightening the rear wheel on truck which will carry his family [that of of tenant farmer Elmer Thomas] to California from Muskogee, Oklahoma." Photo by Russell Lee. View full size. Submitted by BethF on Tue, 10/23/2018 - 10:01am. Merle Haggard's parents and two older siblings moved from Oklahoma to California during the Great Depression, much like this young man and his family, seeking a better life. Though, they didn't hail from Muskogee, they actually came from another well-known town — Checotah, home of Carrie Underwood.